This post is from Day 15 of our amazing 18 day journey through Costa Rica. In the morning we got an introduction to the tropical dry forest with our MVI guide, Mark Wainwright. The bird and especially butterfly species seen on this walk were pretty extraordinary. Students learned great identification techniques from Mark. After our walk, we enjoyed a delicious lunch at Restaurante Kayasol, and then boarded 1 and 2-person kayaks to go explore the mangroves. Greivin was brave enough to explore them via a paddle board … what fun that was for him! We have never seen someone find so many different ways to ride and power a paddle-board, or to enjoy it as much as he did. We miss you already Greivin!! Be sure to always keep your ojo de buey seed with you! I have had mine (and my mary-beans) in my pocket every day since our trip. Pura Vida! 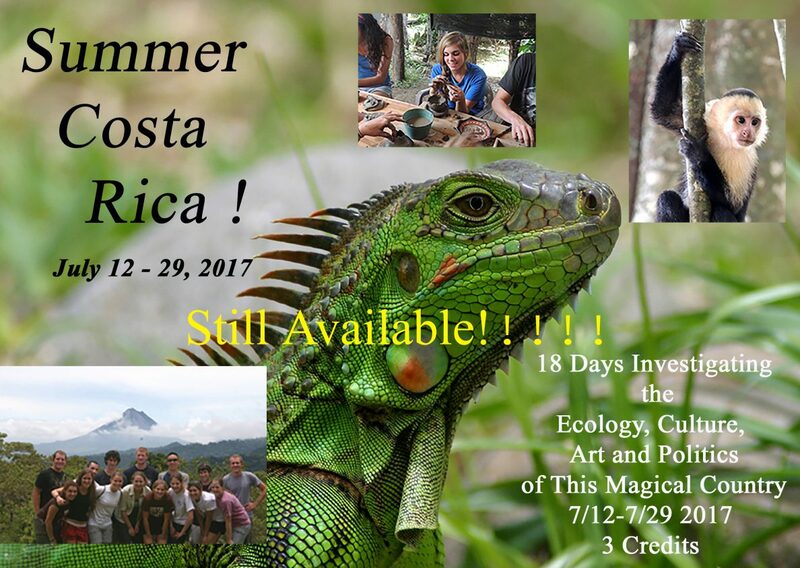 Previous Previous post: 07-27-17 – At Hotel Giordano Tropicale in Nosara … Welcome to the Dry Forest! Next Next post: Group Pics – Saying Farewell to our Costa Rica students and now Friends for life!